This book is the first full length, illustrated study of North American Indian architecture to appear in a century. 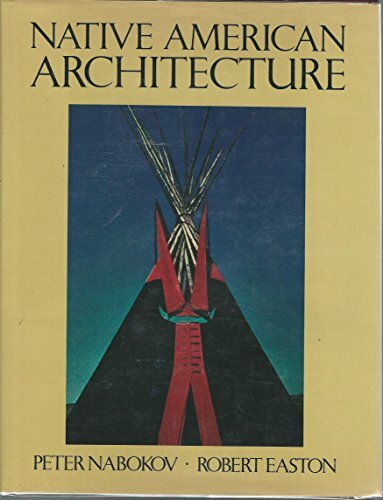 The product of a collaboration between an architect and an anthropologist, the book presents the building traditions of the major tribes in nine regional profiles covering the continent - from the huge, plankhouse villages of the Northwest Coast to the moundbuilder towns and temples of the Southeast to the Navajo hogans and adobe pueblos of the Southwest. This book is far more than a survey of buildings. Its multidisciplinary approach offers a broad, clear view of the Native American world, resulting in a new understanding of the meaning of their buildings and culture. Nabokov and Easton describe how Indian buildings, as a central element of their culture, were the symbolic summation of tribal activity, and how the settlements secured for their inhabitants a sense of "place" in the environment. The book introduces us to the ancient social customs, economic ways of life, and technological skills of each tribe, emphasizing the major role played by cosmological concepts and ritual life in their architectural systems. Each chapter concludes with an account of traditional Indian building practices under revival or in danger today. The book uses historical photographs and drawings, architectural renderings, and specially prepared interpretive diagrams which decode the sacred cosmology of the principal housetypes. Native American Architecture is a major contribution to the expanding worldwide interest in vernacular architecture - a milestone in scholarly investigation and cultural reconstruction. Peter Nabokov, an anthropologist, has taught in the Department of Architecture at the University of California at Berkeley and is the author of Two Leggings: The Making of a Crow Warrier and The Architecture of the American Pueblo among other books. Robert Easton, a noted California architect, has taught at the University of California at Los Angeles and is co-editor of the acclaimed Shelter and Domebook.